Continuing with the Bacon’s Castle theme, my entry for this week’s Barn Charm is one of the old barns located on the Castle farm. I can just imagine the time my Grandaddy and my uncles spent in and around this barn. This entry was posted in Family, Traveling Days and tagged Bacon's Castle, barn, barn charm, smokehouse. Bookmark the permalink. Nice photos Dianna! I’m sure it’s quite something to experience, looking at these old buildings and imagining your family members hard at work doing what they had to do to manage such a large property. They certainly had a beautiful spot to call home. so much history in this cute little barn! I love this ~ I think it’s amazing you are so close to and connected with your personal history! Thanks again for sharing all this history ~ it’s fascinating! 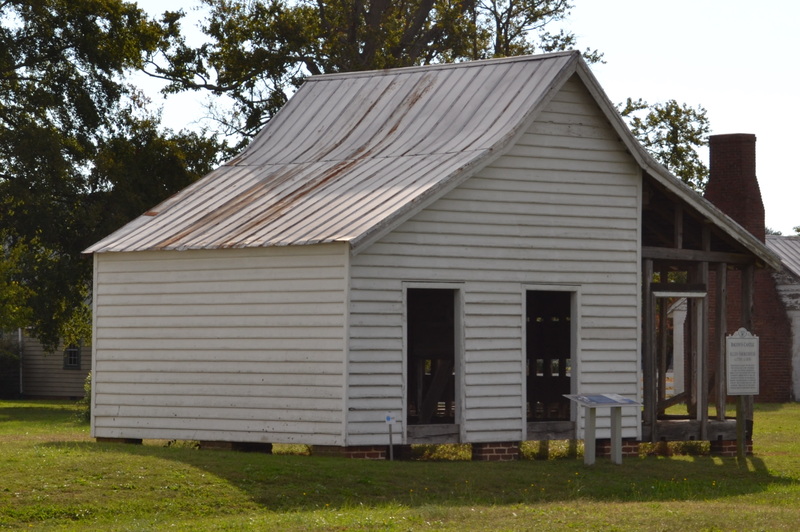 Very interesting…I love structures like this…they really do tell a story! Thanks for sharing! This is a super barn! Thank you for posting the wonderful picture of your grand dad yesterday. I try to imagine, as you suggest, him moving around this barn. An other lovely post and story. Interesting barn…I love the slope of the roof it has. Glad you decided on our ‘home’ theme! Isnt’ it amazing that after 300 or so years, this little frame barn is still standing in spite of hurricanes and nor’easters!? This is an interesting barn. 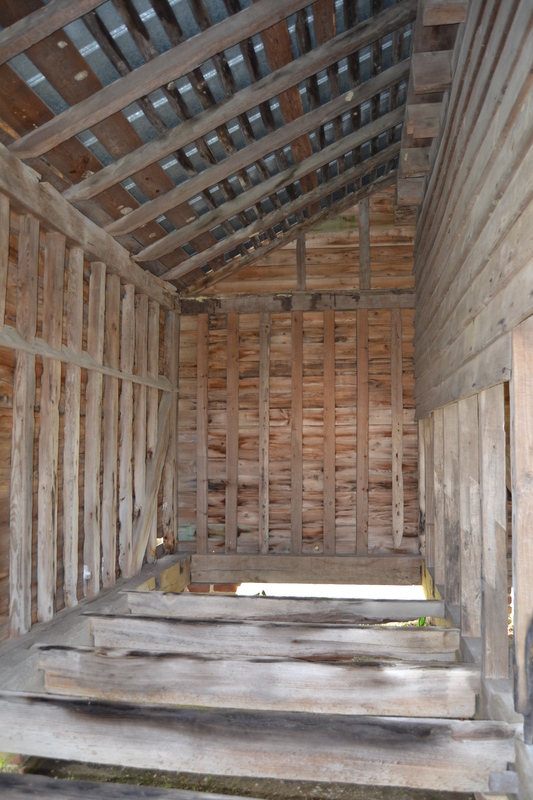 We saw a few barns on our trip home, but didn’t get any pictures of them. One of them did remind my hubby of his grandfather smoking the meats. I’m glad we don’t have to do all that butchering! love the metal roof and the angle of it! Love it!! There’s just something about these old wooden structures that make them so much more appealing than modern buildings made of steel. Hard to imagine something being here that long…it is wonderful and so glad you could show it to us. You can see my entry at Time Stand Still. How interesting & beautiful… I’m so glad you included inside shots. This spot is LOADED with the History!! 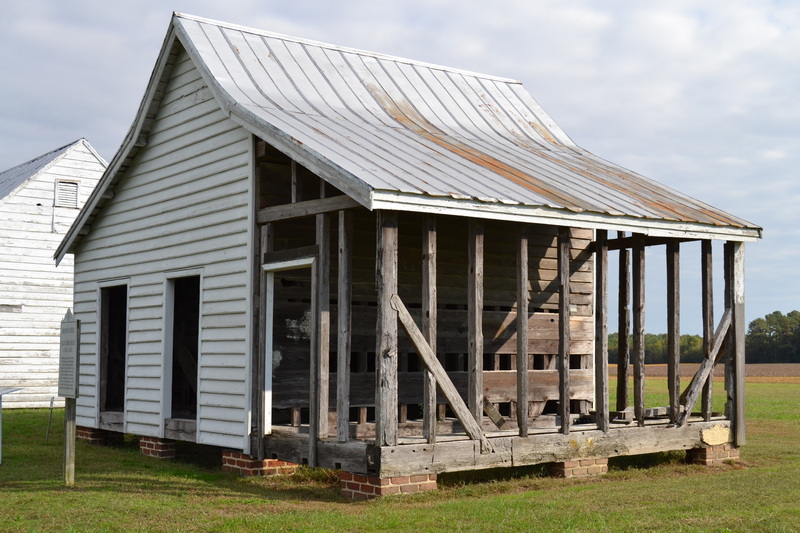 This is the barn our family was using in wheat processing. The boys removed some timbers and/or boards in order to make the job of ‘ winnowing ‘ the wheat easier. I’m not sure how that process worked, or how this barn made it easier, but I’m glad Uncle Bennie told it to me as we walked around the grounds that day. More family history tidbits!! Who would know this nice little barn I so much history. Interesting barn! I sure do like the wooden barns as opposed to the metal barns that are being put up today. We had a smoke house on the farm where I grew up, but it was just used for storage. oooohhhh i love this and the picture of the sign, i always do that. it’s a great way to “remember” the details!! 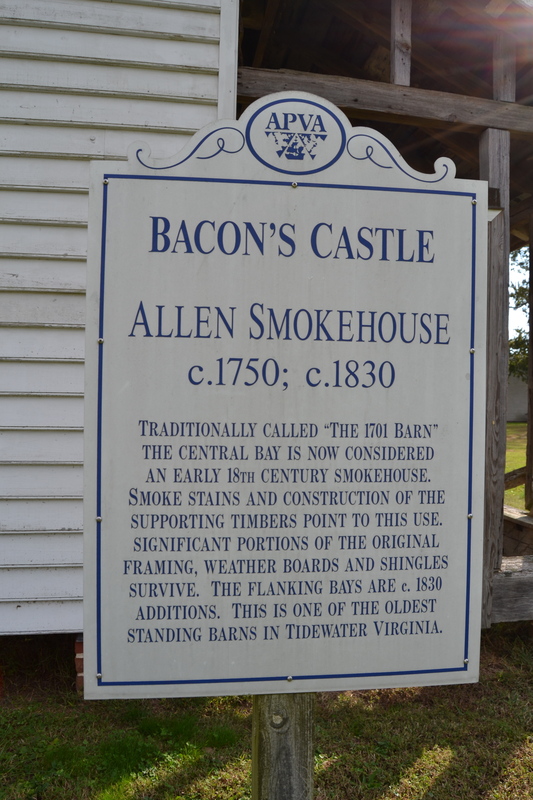 This is doubly interesting – your love of Bacon’s Castle and for barns in general. Nice! Sweet little barn. Love the tin roof!